With BIM adoption in full swing in the UK and America and emerging mandates across Europe gearing towards Building Information Modelling, we are pleased to announce that our Graitec Advance PowerPack for Revit review on the Engineering.com website has been voted at 4th place in the top 10 Revit content 2016 by Revit News. 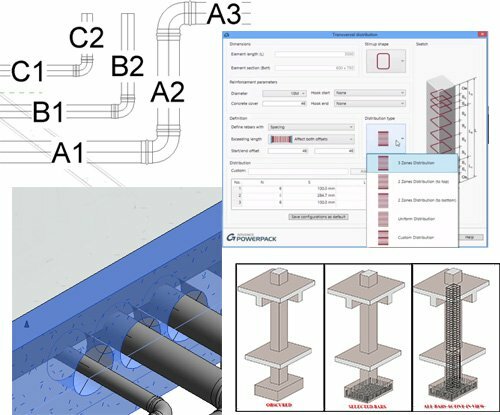 As an established international software developer of a variety of BIM tools, Construction software and Structural Design Analysis solutions, the Graitec Advance PowerPack for Revit has been made available with support in multiple languages and has been designed to deliver Revit users with powerful tools that enhance productivity for many day to day design and modelling tasks for example a Revit to Excel Link, Batch Export to DWG facility, Revit Family Manager, Renaming and numbering tool and so much more. Achieving independent recognition for our software is very welcoming indeed as it shows we are continuing to provide productive solutions that meet our clients daily needs. The Advance PowerPack for Revit is available free of charge for Graitec's subscribers or can be purchased if required.